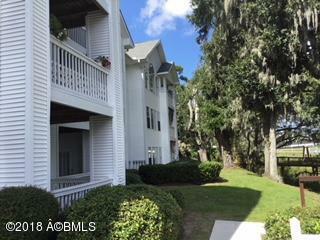 Furnished 1 BR unit with view of Beaufort River from private patio and exterior. Great opportunity for care free living. 1st floor unit with added 6X12 storage room across hall from unit.Rent long/short term VRBO.